I couldn’t post anything yesterday, the actual day 5, because what I was trying to do just didn’t come out as it should have. I tried to make a chocolate pudding with Rum, but after and hour and after 2 hours in the fridge it just couldn’t get solid. So this morning I baked everything for 10 minutes and they just turned out fine. Another mistake I made, was not to use an aged Rum, instead I used a white Rum (Bacardi). I will try again one of these days and I will post it, meanwhile here is the recipe for the mini cakes. I recommend you to use very fresh eggs when you deal with recipes with raw yolk or egg white. Just look for the package that has the date of the laying nearest to the date in which you intend to use them. Hope you enjoy and sorry for posting late! More choccy recipe to come today! Turn the oven to 200°C. Put the milk and cream in a sause pan and boil them. In the meantime, beat the yolks with sugar. Add the Rum and the cocoa powder. Put the chocolate to melt into the milk mixture. And once it's cool add it to the egg mixture and beat together. Pour the mixture in small stamps and bake for 10 minutes at 200°C. Actually, they turned out fine even without an aged rum :-). 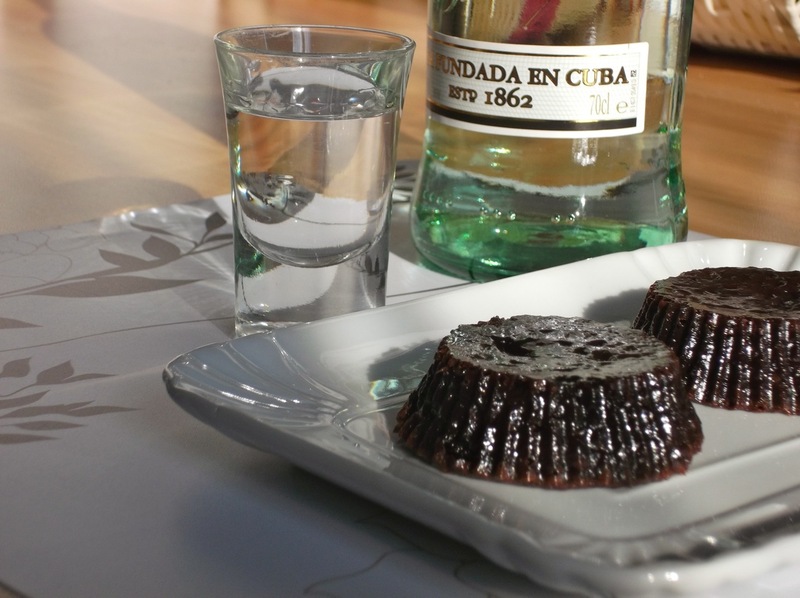 I just love them, the rum enhances the flavor of chocolate in a delicate way. They’re also very elegant, perfect as dessert in any formal dinners. Kudos! I agree with you, it is a very elegant dessert for a special night. 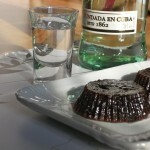 As a fact of my opinion it would be perfect for ending a winter-cold dinner accompanied with a glass of the best Rum.